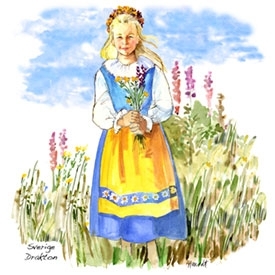 This darling magnet made from Sharon’s watercolor painting which portrays the bunad from Jondal Norway. 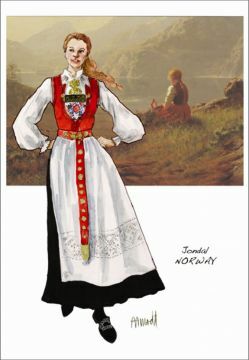 The embroidery and colors are quite distinctive. Be the first to review “Jondal Lady Magnet” Click here to cancel reply.